Photo submitted: History Club Members left to right: Connor Degon, Vail Smith, Hannah Tillery, Haley Satterfield, Richelle Schwarz, Curtis Amburn, Lane Mesger, Grace Bonnell, Kasen Monds, Dakota Decker, Easton Ice, and Isaac Haden. 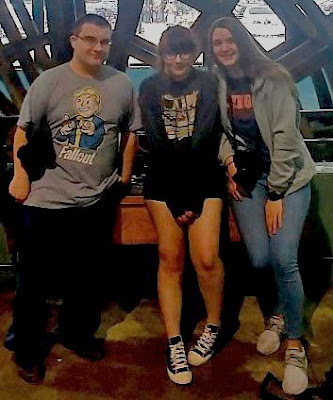 The Licking History Club began its fourth year by exploring the once great Native American city of Cahokia located in Collinsville, Ill. A city once boasting a population of 10,000 to 20,000 people around 1050 – 1150 A.D. was a ghost town by around 1350 A.D. Students got to walk through a recreated village scene, observe many of the stone tools utilized by the Native Americans and hike to the top of Monks Mound, some 100 feet tall and covering some 14 acres. The second half of the day students spent touring the National Museum of Transportation located in St. Louis. 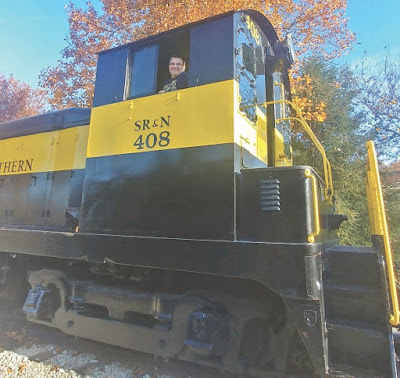 They got to see and walk through many of the different styles of trains of days past, get up close with many of the classic cars of the 50’s, 60’s and 70’s, and even see Marty McFly’s driver’s license from the “Back to the Future” movies. Over spring break, History Club students traveled to Kansas City for a two-day exploration of the Harry S. Truman Museum, National Frontier Trails Museum and Steamboat Arabia Museum. The Truman Museum was like a walk through Harry Truman’s life all the way up to his exit from the presidency. The National Frontier Trails Museum was dedicated to all those pioneers who braved the Oregon, Santa Fe, and California Trails in the mid-1800s. Featured were some artifacts and tools from the period as well as many personal accounts of individuals’ lives as they made the dangerous trek west. Consensus among the students was that the Steamboat Arabia Museum was the best museum. The Arabia sank in the Missouri River in 1856 and while all the passengers and crew were able to make it to safety, their cargo and one lonely mule was consumed by the muddy bottom of the river. In 1988, five ordinary gentlemen pooled their money and located the Arabia. Soon after one of the world’s greatest single collection of pre-Civil War artifacts was unearthed. One goal of our history club was for these students to be able to gain a greater appreciation and understanding of the people and events that came before them. In doing so, these students have discovered that Missouri and surrounding states, much like their people, have endured great pain and happiness, have had to make agonizing, life changing, and sometimes heartbreaking decisions but have come out stronger because of it. Licking History Club is an organization of some really hard working staff members, loving and dedicated parents, and most of all some outstanding kids that we have had the pleasure of knowing. We will be graduating a few members soon whose impact on this school has been invaluable and want to give them a special thanks as their presence will be missed more than they can imagine. Grace Bonnell, Lane Mesger, Athena Hood, Curtis Amburn, Richelle Schwarz, Kasen Monds, Tiana Lewis and Haley Satterfield. Non-senior members include Cliff Hawn, Carson Chambers, Isaac Haden, Vail Smith, Dakota Decker, Easton Ice, Hannah Tillery and Connor Degon. 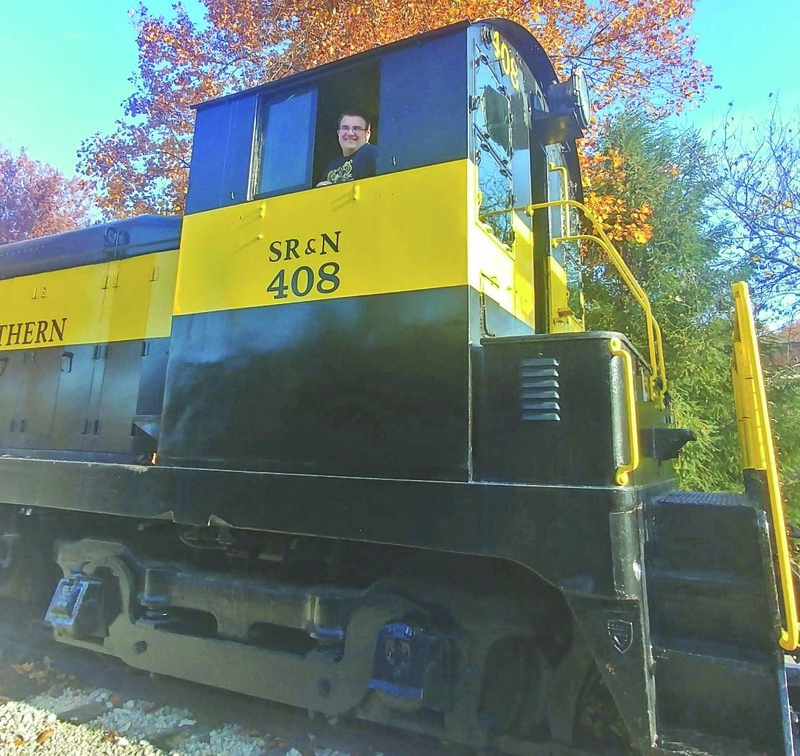 Photo submitted Curtis Amburn explores a train at the National Museum of Transportation in St. Louis. 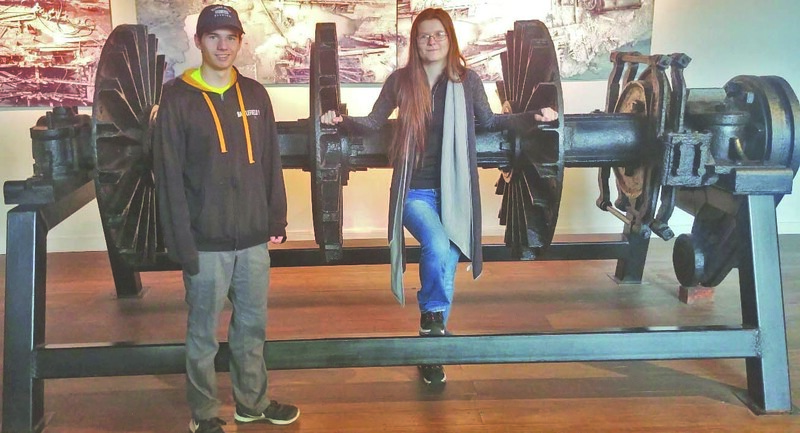 Photo Submitted Connor Degon and Vail Smith enjoyed the Steamboat Arabia museum where they saw parts of the steamboat and its cargo that had been preserved in the Missouri River mud. 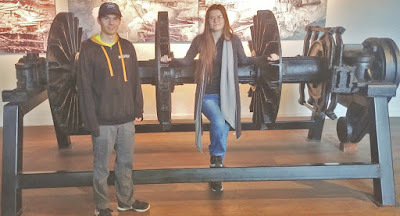 Curtis Amburn, Richelle Schwarz and Grace Bonnell at the paddle wheel of the Steamboat Arabia.